The converting process is a strategic part of label and packaging production which involves time, costs and risks. To cope with these criticalities and streamline the processes, Omet has developed exclusive, integrated in-line solutions creating a valuable option for current and future customers. Every printing line of the Omet product portfolio can be configured with unique die-cutting systems conceived to make the die-cut changeover quicker, safer and easier compared to standard processes that usually require long machine downtime. The Omet iFlex, the Omet X4 and the Omet X5 can be supplied with the patented Easy-Change Die Cut – ECDC, a compact and ergonomic die-cutting unit that allows a job changeover in less than one minute. It makes the entire workflow easier and safer eliminating the need for lifting devices. 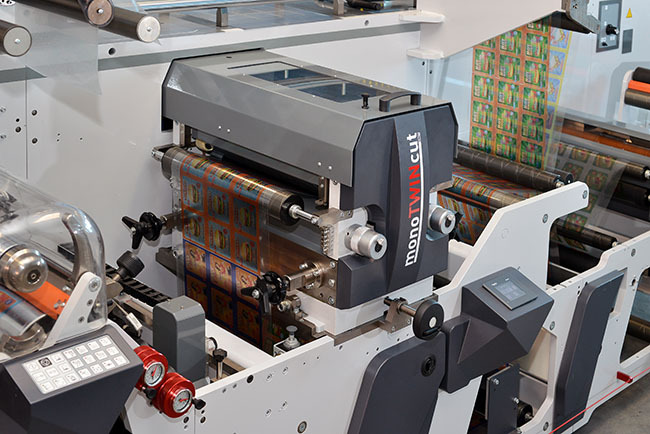 The Omet X6 line features an innovative and high-performing die-cutting module. Omet Twist is a smart unit with double cassette for smooth and effortless changeover operations. 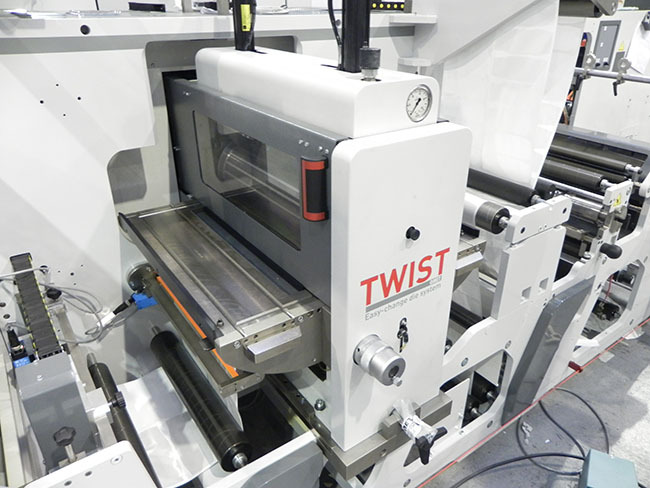 It simplifies the operator’s life and minimizes set-up time thanks to the Omet Easy-Change Die Cut system, which enables the preparation of the die-cutting job off-line during production and the cylinder changeover with a simple push through the innovative Omet In&Out sliding device. After just a few seconds needed for the automatic pre-registration the machine is back in production. Numbers speak for themselves: with standard converting groups a full die cutting changeover may require 20 to 30 minutes, while with the Omet Twist the same is done within one minute. 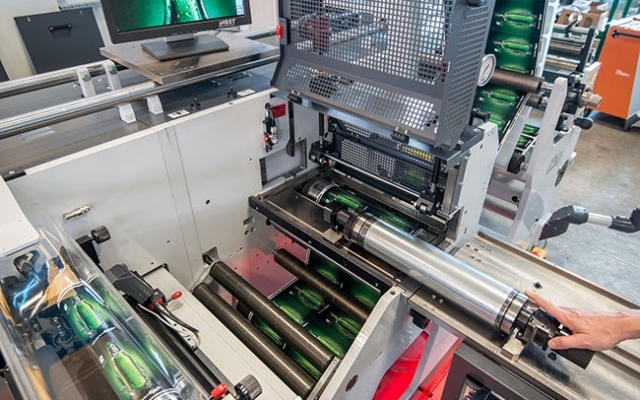 Omet MonoTwinCut is the unique format-free die-cutting unit available on the Omet X6, which works with one single magnetic cylinder for all label shapes or dimensions, minimizing operational costs and changeover downtime. With the Omet MonoTwinCut the only operation to be conducted is the change of the flexible die, while the magnetic cylinder remains in place. It includes also fully automatic pre-register and register control, which facilitates from one die-cutting repeat the other, with no waste involved. Omet is the only manufacturer to offer different, unique and patented solutions for the converting process. The Omet Varyflex line can be configured with different options dedicated to special applications, labels or cardboard production. All Omet machines are designed to be flexible and provide customers with tailor-made die-cutting solutions for special applications. Modules for carton or paper window punching or for the production of dual-shape labels are available too. Omet solutions provide added value and prove once again how Omet technology creates a real competitive advantage for its customers.